Through out the year, we have a calendar full of sports activities be it at Stamford or other schools. 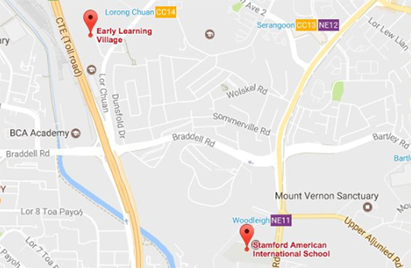 Stamford is a proud member of the Athletic Conference of Singapore International Schools (ACSIS) and field teams in this city leagues from Under 8 through to Under 19. Stamford hosts a number of Lions Friendship Tournaments across the year for both our Middle School and Varsity age groups. Neighboring International Schools from Singapore and the region are invited to participate in a daylong tournament that promotes peace, friendship, cooperation and provides the fundamentals of teamwork and the values of discipline. At Stamford, there is something for everyone. We offer tryouts for the different sports teams and it will be held at different times of the year. Tryouts information will be provided by the school. Volleyball is one of the most practiced sports in the world. It is a collective sport in essence, in which the player cannot keep the ball for himself and is obliged to play with his partners. It is also a sport without physical contact with the opponent, which requires finding the mental resources to take the psychological ascendancy. The sport is divided into 2 Olympic disciplines: indoor volleyball and beach volleyball. The technical bases of these 2 disciplines are the same. Both are taught at the JJ Lions Volleyball Academy in a playful and competitive spirit that allows each student to go beyond his/her own limits and progress in all technical, physical, tactical and strategic dimensions. Coach Fischer, 45 years old, was a professional volleyball player in the prestigious French Volleyball League. He integrated the French national center of volleyball in 1990. He has played in the clubs of Montpellier, Nice, Castres and Toulouse in the Elite Divisions (Pro A and Pro B). Coach Fischer has been French champion in Pro B league with Nice in 1993 and was selected in the French national teams for U15, U18, U20, University and France Senior. Aside from his professional career in volleyball, Jerome pursued a Ph.D. in Law. He was a lawyer in business law and Professor of law at the University of Toulouse. Coach Fischer holds level 1 certification from the International Volleyball Federation (FIVB). Coach Churchill oversees much of the volleyball program at Stamford and is the Head Coach of the Girls Volleyball Program. He is Head Coach of each of the U14, U16 and Varsity teams. Coach Churchill received his NCAP Level 1 Volleyball coaching certification in 2012 and is an Australian Certified Level 2 referee. He started playing volleyball in Grade 7 at Wonthaggi Secondary College in southern Australia. He was awarded with the Australian Championships MVP on two occasions and represented his state 6 years in row, being selected in the Australian All-Star team 4 times. Between 2000 and 2003 he represented Australia on 5 international tours of Asia, Europe and the Middle East. Coach Churchill spent a lot of time playing as an opposite and as a libero. Prior to Stamford, Paul worked at the Australian International School in Singapore for 2 years and where he was also Head Coach of their Girls Volleyball Program. Coach Guyonvarch, 32 years old, is former professional indoor volleyball and beach volleyball player. He started playing at the age of 15 and became a national level player at 16. One year later, he joined a professional volleyball team. Coach Guyonvarch played several years at the highest level in France before choosing to sacrifice professional sports for university. Having completed Bachelor degrees in history and sports, he enrolled into one of the best schools in France: Paris Institute of Political Studies (Sciences Po) where he pursued a Master’s degree. Upon graduating, Julien decided to build his career in national education and started to teach history, geography, sociology, civic education and sports in French high schools and colleges. During this time he continued to play indoor and beach volleyball, winning several intermediate-level tournaments (series 2 and 3). Coach Guyonvarch topped the French Beach Volleyball Team rankings, which enabled him to participate in the highest-level of French national tournaments (series 1). Coach Guyonvarch started coaching at only 19 years old. He coached teenage and adult teams at French national level for over 5 years. Seeking a new challenge, Julien embarked on international coaching and recently began FIVB training. As an excellent beach volleyball player, he constantly wins various tournaments across Asia including Singapore. The Lions Badminton Academy aims to provide its participants with an opportunity to pursue the sports regardless of skill level. We aim to allow our athletes to pick up the sport or improve their current ability. Besides the technical aspects of the sport, we aim to inculcate positive values such as; determination, perseverance teamwork in our students to provide a holistic training environment. Coaches will work closely the with athletes in small focused groups to cater to each of their specific strengths and weaknesses. As such, the academy will be structured into 4 skill levels; Cubs, Lions, Pro Lions and Private Classes.